Home » Blog » news » What is my passion and how do I pursue it? Finding my passion can be challenging when I over think things. It could be as simple as listening to my instinct of how I feel. You may of heard of the cliche “listen to your heart” but what does that mean? It is intangible. It took me only over 40 years to finally gave myself permission to explore and pursue my own passion. What is my passion? 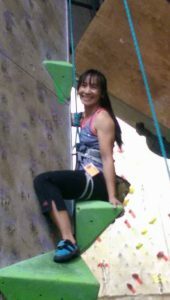 As you may have guessed since the name of my website is Rock Climbing for Women and how did I come about finding my passion? Passion is defined by dictionary.com as “Any powerful or compelling emotion or feeling, as love or hate.” It is a great definition. I see passion as a strong feeling of emotion toward a person, an idea, a sport, etc. There is no wrong or right answer only different of perspectives. That is what makes it so special and unique for everyone. As a youngster, I always followed my instincts and emotions. However as I grow older, I observed my environment and culture and put aside my own intuition little by little in order to fit in. My way of fitting in was pleasing others. In my mind, it was the formula of fitting in. It served me well when I was younger. Now as I am older the same formula no longer serves me. I occasionally ignored my intuition and double guessed myself. It only led me and others around me to more confusion. I had to relearn to listen to my own intuition again. I have tried a lot of sports in my young and impressionable days. I tried water skiing and snow skiing. I like them both. I earned a black belt in Tae-kwon-do during my high school years. I ran several marathons, half marathons, mud runs, 10k, 5k and even participated in several adventure racing. I even sky dove. At first it was tandem then I decided to do the full blown Accelerated Free fall (AFF) and 9 solo jumps. I also surfed as well as scuba dive. I tried pole dancing a few times and it was a dizzying experience. I achieved a lot with family and friends’ influence which also included my winning formula of pleasing others. However, rock climbing was something different. I found rock climbing all on my own without any family or friends influence. Well it does help that my son was on the climbing team and I had to drop and pick him up to be exposed to it. However, I would not count that as an influence. At this time in my life, I have nothing to prove to anyone and that includes myself. Although, I still forget at times. I rock climb just for the pure joy of it. In the beginning, my head was full of stories such as I don’t have a strong upper body, I can’t barely do 1 pull up, it’s too expensive, or whatever you can think of – it was yet another story I created for myself. The final story to myself so that I can give myself permission to try rock climbing was “I want to spend more time with my son. We can maybe bond when we are climbing.” Well that was full of crap. My son practices with his own team and we barely cross paths except when he is waiting for me to finish a route that he wants to climb or vice versa. We do bond during our drive together to the gym and back. Every little moment count. Wow, isn’t the brain and the emotion are amazing and full of stories. We can make a story as complicated or as simple. Needless to say, I finally tried rock climbing. This time I listened to my feelings or may I dare say I listened to my heart. My heart was filled with excitement. I felt like a little girl full of exhilaration when I climb. Climbing was constantly on my mind (still is). I wanted to share with the world and include them in my fun. When I first joined rock climbing I did not think that it would keep me in such great shape like I am now. Keeping in shape was the by product. It was something fun and I wanted to keep on challenging myself to climb more stimulating routes. Little did I know that rock climb uses almost all of the muscles in my body including my pinky grip sometimes. It tones my triceps as well as my biceps. My core has been the strongest as it ever been. I have not even mention the mental aspect of climbing. 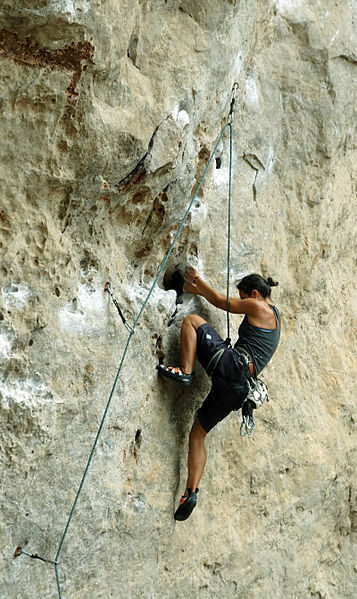 There is skill as well as mental strategy involved with climbing. Fear is the biggest part of my mental obstacle. I am constantly learning to deal with my fear of falling as well as height. Every time I completed a challenging route that deals with my fear, I walked away feeling awesome and with a huge smile radiating from ear to ear. It is totally therapeutic. I learn that everything is temporary. I may love climbing now but I may not feel the same way in the future. It is totally alright. My passion may change and evolve over time. I am learning to take advantage of the moment, enjoy and experience it to the fullest. If you live in Orlando or nearby, visit Aiguille Climbing Center and climb with me. I am leaving most of my Friday mornings from 10am to noon open to anyone who would like to learn how to rock climb. Please email me at ha@rockclimbingforwomen.com or write your thoughts below. I would love to meet you there. Thanks for another interesting look into the world of rock-climbing. I am fascinated by the way what you do physically affects your way of thinking. It’s a truth. 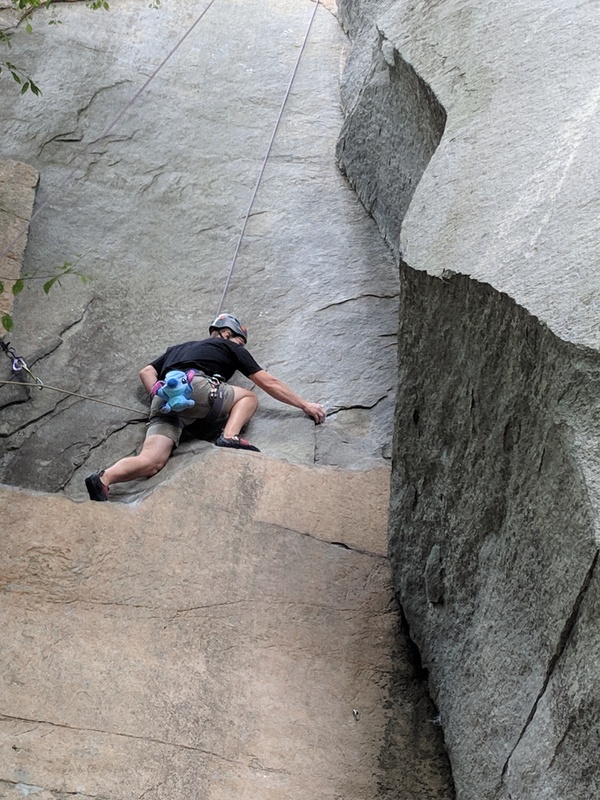 I would think that rock-climbing would be mostly about developing effective ways to move among the rocks and conquering very real fears in order to keep going. It would be a cool thing to be able to transplant that way of thinking and apply it to the rest of life. Definitely!!! I love your perspective. It is very transferable. It build confidence big time. Thank you for your comment.